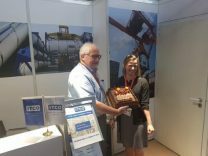 ITCO is celebrating its 20th Anniversary this year and to mark the occasion, Reg Lee, ITCO President, was presented with a Special Anniversary Cake by Meplan, ITCO’s long-term Tank Container Village Partner. 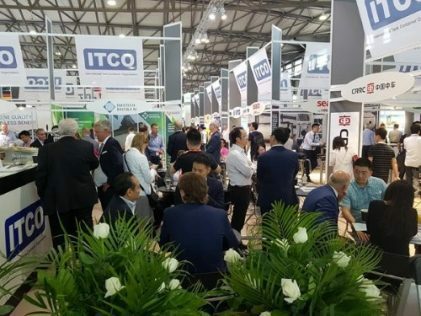 This year’s ITCO Tank Container Village at Transport Logistic China 2018 got off to an excellent start, with exhibitors reporting a busy first and second day with plenty of visitors. A total of 28 ITCO members were exhibiting at the Show, representing all sectors of the industry. The first day concluded with an Evening Networking Reception to mark the 20th Anniversary. Those who attended the Reception survived “tropical” temperatures and enjoyed a chance to relax and network with their colleagues. ITCO will return to China in 2 years time following the construction of the ITCO village in Munich Jun 4-9 2019.